An economist, Dr Fayyad was born in Nablus, Palestine in 1952. He graduated with a BSc from the American University of Beirut in 1975 and went on to receive an MBA from St. Edward's University in 1980 and a PhD in economics from the University of Texas at Austin in 1986. Dr. Fayyad is credited internationally with successfully completing a two-year state institution-building plan between 2009 and 2011. At the completion of the plan, international organisations and governments worldwide recognised the Palestinian achievement and unanimously declared that Palestine boasts the efficient and accountable institutions of a functional state, despite the obstacles of the occupation, which now stands as the single factor obstructing the Palestinian people's exercise of their right to sovereignty in their own free State. 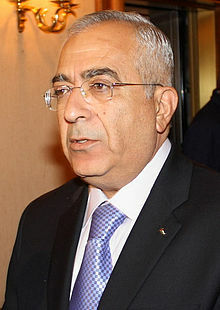 On 13 April 2013, Dr Fayyad tendered his resignation to President Abbas, who asked him to stay on as caretaker Prime Minister until a new government was formed. Dr Fayyad is also an elected Member of the Palestinian Legislative Council.